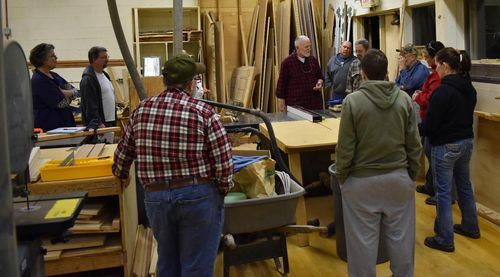 I thought I’d share some photos from one of my classes,I had a very busy class last week in my woodworking class, the topic for my workshop “table saw Techniques, jigs, and fixtures. Makes me wish I had gotten over there to take a class when I lived down your way. Good to see Jim. I find it even more rewarding than building my own pieces. I’ll bet you do too. Teaching sure is fun when the students WANT to learn. Good on you. That looks like a good time! Thanks, Charles you certainly know how it is to share your vast knowledge, you’ve been doing it for years. 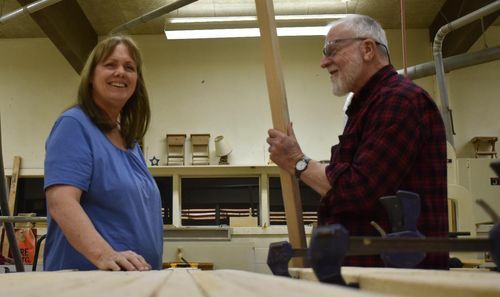 Paul Your classes have to great fun and very informative too. 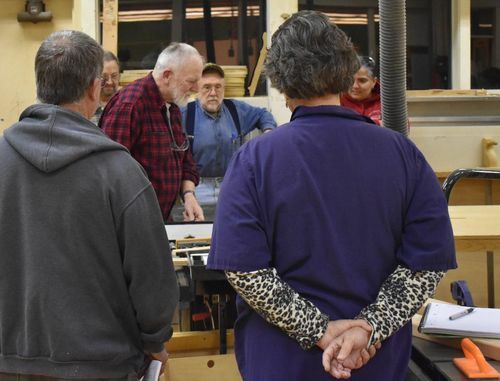 you’ve got that right Bill I volunteer at a local high school and many students there just want out of the regular class by being in the wood shops, but my adult classes they are all there to learn and have contact with a more experienced woodworker. Alex, there are always different personalities to deal with when teaching, fortunately, most of my students are a great bunch of folks some taking every class I offer. Looks like fun. I’d love to take a class from you. Great to be able to pass along your knowledge Jim, fun work. A great way to share your experience and knowledge Jim and also generous. It was great to see so many women attending too. 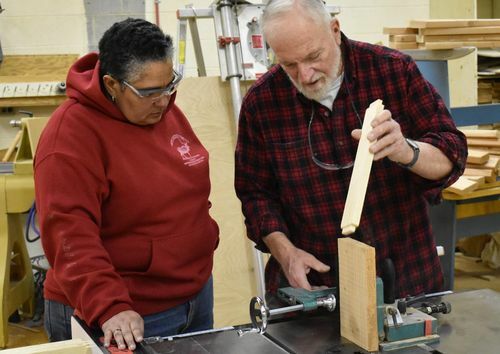 I’m sure you have more than enough experience to teach if you wanted to.Yes, there always a good percentage of Woman that take my classes sometimes up to 80% of the class, many are of the age that high schools did not allow them to take shop when they were in school, but have always had an interest in woodworking. Jim, I certainly don’t do any teaching but it’s a good feeling when someone learns from your experiences. I love using the tenoning jig. Great little helper. Do we get the LJ discount if we take a class?